is the FOOD! I love to eat. I love to eat A LOT! Brandy is always so good about taking care of me when I come home from my centuries. 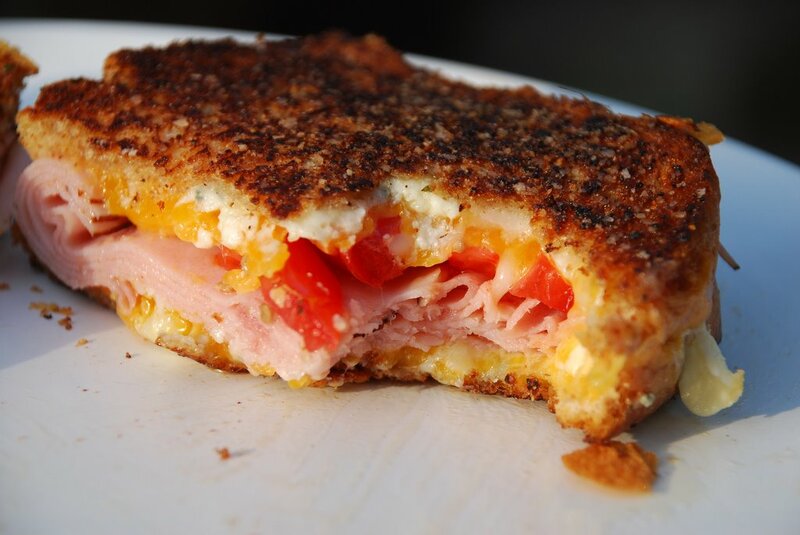 On Sunday when I got home I was treated to a grilled ham and cheese (cheddar and Blue Cheese)with tomato. The bread was sprinkled with garlic salt. It was soooo damn good. This entry was posted in century routes, decadent food by REV Cycling Directeur Sportif. Bookmark the permalink.